Hi there, blog friends! Welcome to day 2 of the Lil' Inker Designs December release!! Weren't all of the projects from our team yesterday just amazing?! 4 new stamp sets & 6 new dies are now available for purchase in the Lil' Inker Designs shop....so be sure to go over & add some items to your Christmas wishlist! 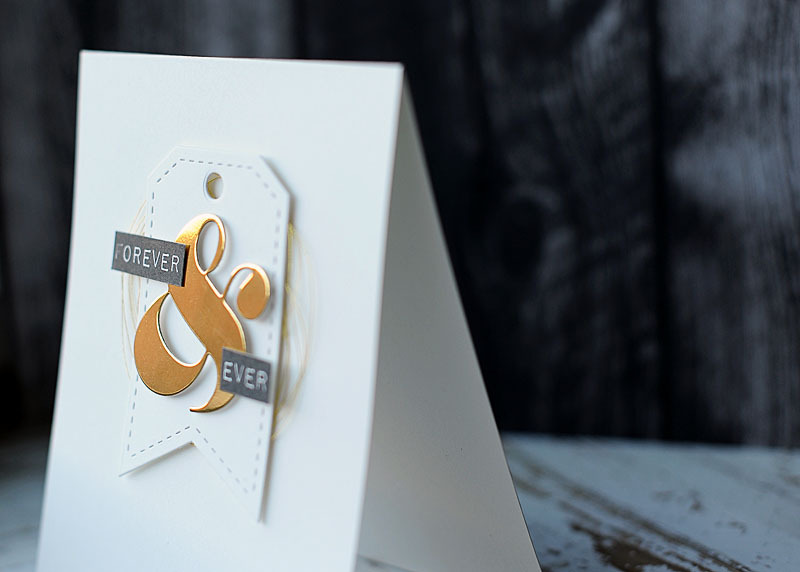 We've got two more days of amazing projects and today I am featuring the following items: All About Ampersand stamp set, All About Ampersand dies & Anytime Tags Die Set 2. My first card is very clean & simple. I've used white on white, with a touch of gold & black. I think it looks very elegant, but still very trendy. Check it out! I started with an A2 card base cut from white cardstock, then diecut the anytime tag from the same. After adding the gold thread to the middle of the card base, I layered the white tag on top of it with foam adhesive. I diecut the ampersand from shiny gold papern & added it to the middle of the tag with foam tabs as well. To finish I stamped the rest of the sentiment to white cardstock, cut it out & adhered it to each side of the gold ampersand. 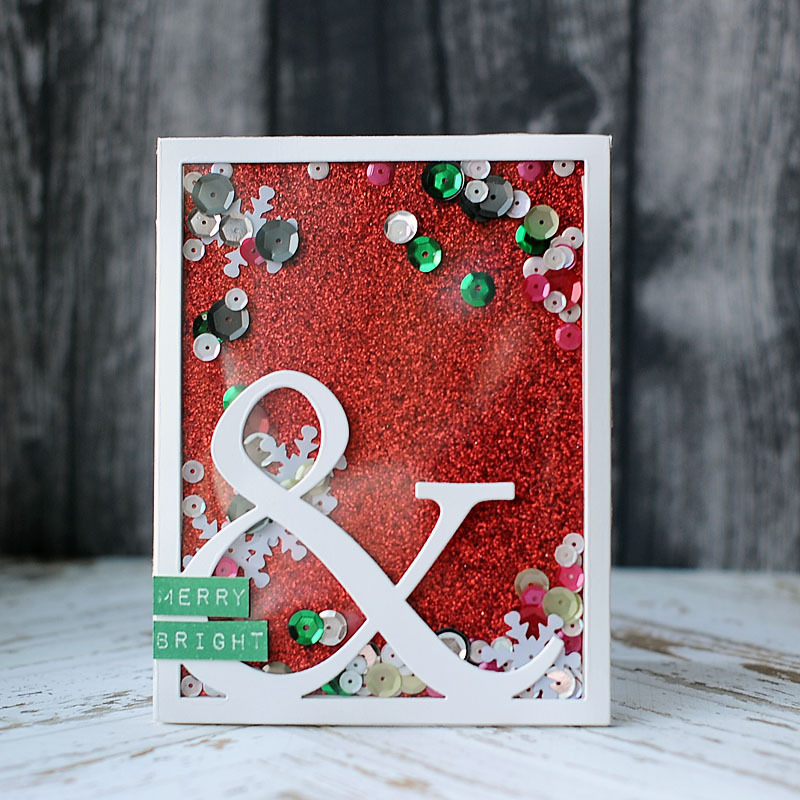 For my next card I created Christmas shaker card using the ampersand cover plate. Are you sick of me making shaker cards yet? I certianly hope not, because I love them!!! :) Check it out! I started with an A2 card base cut from white cardstock, then covered the front with red glittered paper. 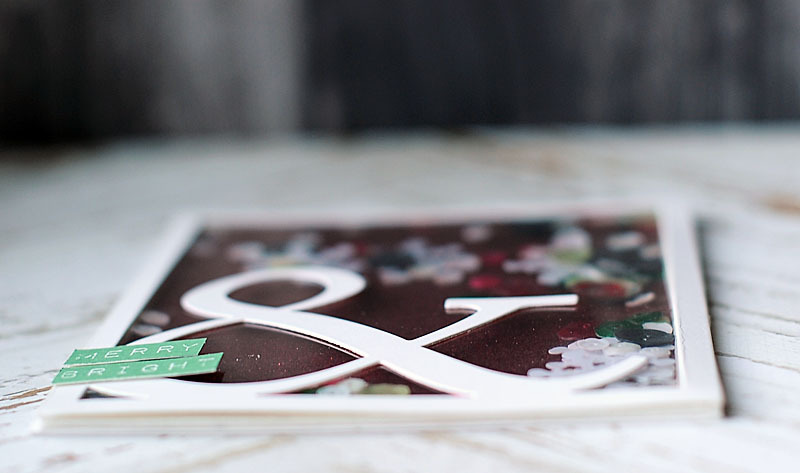 I diecut the ampersand cover plate from white cardstock, then backed it with a transparency. I then added all the sequins to the middle of the card base. After lining the edges of the ampersand block with foam tape, I adhered it to the card front. I made sure all of the edges were sealed, then shook the sequins loose. I stamped the rest of the sentiment in cottage ivy ink to white cardstock, cut them out & adhered them to the lower left corner to finish. Have a great rest to your weekend, and I will be back again tomorrow night with my final Lil' Inker Designs December release post! Oh these are so great!!! Wauw, both cards are great! I especially love the first one. There is a WORLD OF WOW in your cards Lea!!! 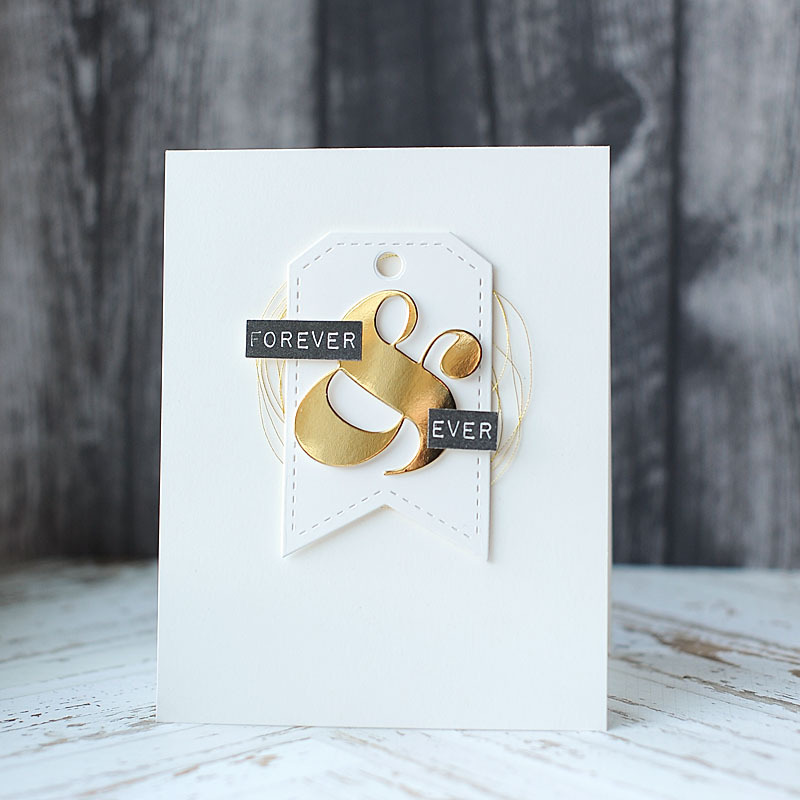 LOVE the ELEGANT design and GLAMOROUS gold of your ampersand!!! LOVE the SPARKLE & SHINE of your FABULOUS shaker too!!! Be still my clean and simple heart, your cards are amazing! They still pack a punch with your use of metallic and glitter, love them! Lea, these cards are simply amazing! Elegance and class with your first card; fun and fabulous, your second! WOW! Both cards are just show stoppers! Gorgeous! Wow! Both cards are incredible and stunning. Your shaker card is a work of art! WOW!!! I absolutely LOVE the first one - it's CAS and classy, elegant and beautiful. The second is awesome - so fun!! Love the gold. Love the shaker card. fantastic cards, Lea! You totally know how to go all out with color and design and then you rock the CAS look too!! OMGsh! Love the clean and simple look of your first card and then your shaker card is just amazing!! Great examples! Thanks for sharing! LOVE your CAS card and the fun shaker card! Perfect! Your first card is lovely and the second one Wow! that first card is my most favourite card!! JUST STUNNING! That gold string truly highlights your lovely ampersand tag. Both cards are just awesome, I can't pick a favorite, love them both!! 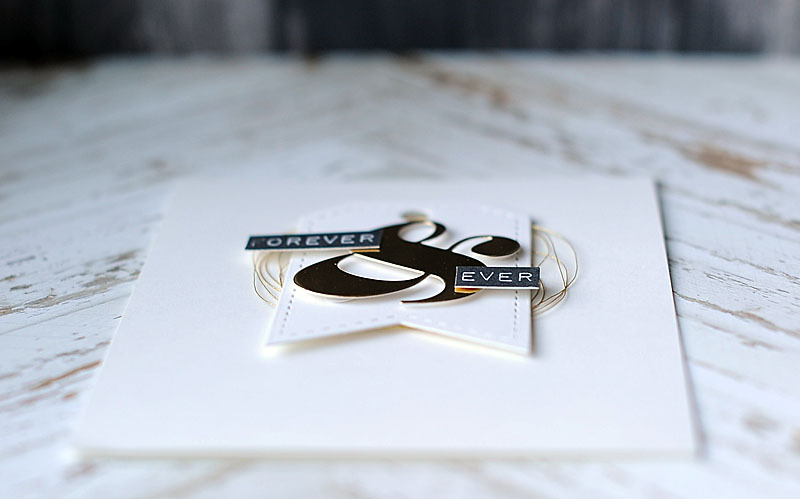 Wow, stunningly elegant wedding/anniversary card and shaker card is so cheery, love it! 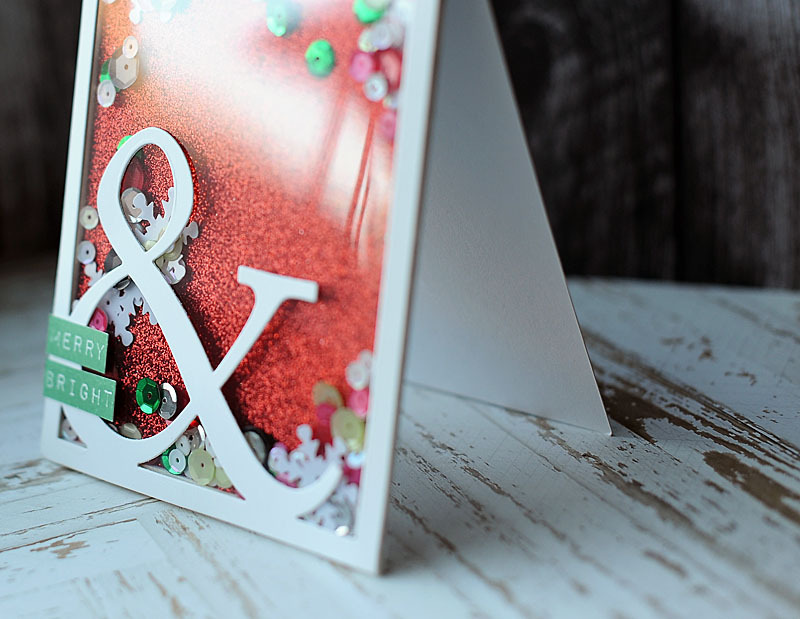 I love all the sparkle and shine on your shaker card and the simplicity of your first card is so pretty. I really NEED those ampersands! Hey Lea! Your cards are amazing. I love the clean and simple look and feel of your first card and the second is just plain fun. How doesn't love shaker cards. Nicely done. Love how CAS that first one is, the gold is gorgeous, and love the sparkle paper background on the shaker! Your first card is stunning. I so love shakers and yours is grand. Oh wow!!! The white in white with a little gold card is STUNNING. Wow. Love it!!!!! And the shaker card is so cool!!! Love that the shaker part is almost the whole card!! Genius!! !